I've had my dog for about two years, and I've never owned a dog before. My dog is an older breathe and my vet recommended this dog food for him. He absolutely loves it! It's very easy for him to eat and digest, the kibbles aren't too big, and they have a nice crunch to them. 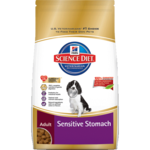 Are usually feed this to him with a tablespoon of wet food, mix it around really good, and he absolutely loves it. I can't even begin to describe how much healthier of my dog looks since eating this food. His Furrer is super thick and shiny and soft. His poop is nice and solid and I can tell he satisfied after each meal. It is a little expensive compared to other brands, but it's totally worth it! It's not full of junk or anything bad! My dogs loved this from the first bite they took and one of my dogs is rather picky. They gobble it up fast and it is very healthy for them. Expensive food but all natural ingredients. We have tried several brands from Purina to Iams, and all other big name dog foods. 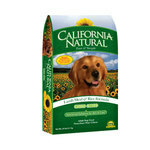 This is a natural, fresh, and organic option that our dog has grown to love. She likes the chicken and a beef flavor. It has whole grain rice, and poultry is the first ingredient on the list, leading me to believe it is all natural, and a healthy option for our pet. Quality of Ingredients All ingredients are natural, and ingredients used are organic. It is a healthier option than other dog foods on the market, and it does not use a variety of fillers and preservatives which is generally the case with other dog foods we have purchased. Flavor Selection I have only seen three or four flavors at my local pet shop. I have purchased the chicken and rice and the beef and rice. Our dog prefers the chicken and rice. I can't speak on other flavor blends, but in comparison to other major brands, this dog food brand doesn't offer as many flavor options to choose from. I have 2 older dogs, a 10 year old miniature American eskimo and a 9 year old Lhasa apso who love treats and when we discovered this product we have bought nothing else since. They enjoy the different flavors although we stick to a certain two that they seem prefer, To say our dogs are spoiled is an understatement. They are very affordable and a bag goes a long way. Quality of Ingredients The ingredients are all natural and good for the dogs. They come in a resealable package that keeps them fresh and soft. The ingredients are obviously healthy and filling as we use them as a snack and a filler for dinner. Flavor Selection There are many selections of flavor. We generally buy the turkey and duck or the venison and chicken as they enjoy the flavor the most. They definitely beg for these treats! It is amazing how an animal can discern the flavor of food but mine can. So we always try to get the same ones all the time. 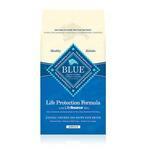 Wonderful product for my dog. The healthy weight product has helped my dog regain her proper weight, and how she is much feistier! She does not appear to be 14 years old because she still is as active as when she was a puppy. Quality of Ingredients all quality ingredients, no by products or additives Flavor Selection My dog especially loves the salmon, turkey, and brown rice flavors. Food I feel good about feeding to my beloved pet. 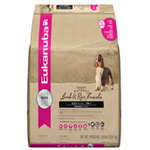 I love this food for my dog Nalia and she definitely loves it too! She used to be eating another brand of dog food, Hills Science Diet, it was less expensive and the ingredients weren't as good of a quality, and after going through half of a 48 lb. bag, I noticed that she has stopped eating and wouldn't eat/finish her kibble unless she was absolutely starving or if I mixed her kibble with peanut butter or something else a little tastier to motivate her to finish her meals. That's when I did my research and decided upon buying a 4 pound bag of Wellness Core Grain-Free dry dog food at my local pet store. It was a little more expensive than Hills, but it was definitely worth it. Nalia finishes all her meals without any hesitation now. She's always excited for mealtime and no longer do I have to add anything to her kibble. I'm a lot happier too because Wellness uses top-quality ingredients, no fillers and few, if any, by-products. Furthermore, this brand is a little more expensive than others, but you end up paying the same amount in the long run since you don't have to feed as much to your pet - it definitely last longer if you stick to the feeding instructions. Wellness is very wholesome and natural whereas brands that aren't have a lot of fillers and by-products, therefore you have to feed your pet more of the cheap stuff to give them the same amount of nutrients they'd get from a little bit of the expensive stuff. So I only feed my dog 1-1.5 cups a day as opposed to the 2 cups per day I was feeding her when she was on Hills. 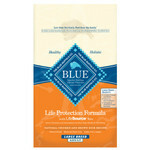 We tried other highly rated puppy foods, i.e., Blue Buffalo and Bil-Jac, Wellness CORE is by far the BEST! We a small puppy and she loves the taste and are satisfied with the recommended feeding amounts. Her stools are solid and actually has very little odor and in much smaller amounts. Won't ever use anything else!! Wellness is by far the best dog food there is! I only put poor in here because I need to let people know that some dogs can not "stomach" it, literally. Quality of Ingredients I thought I was getting a great food, but my small lab can not eat it. It makes her sick. my bigger lab can eat it no problems. My small dogs love it! 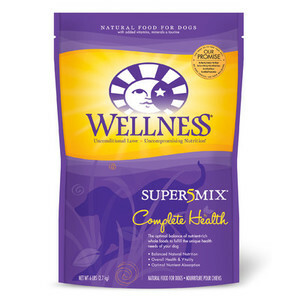 I have been feeding Wellness Small Breed and & Wellness Small Breed Healthy Weight to my two dogs for a few years now. I have a 8 lb large Chihuahua (trust me she's not overweight) and an 7 lb Min Pin. They both love their food and scarf it up with no complaints. You can't get much better ingredients here. I always had a difficult time finding good food specifically for small dogs. Even if they had a small dog food, they wouldn't have a weight management form. So it's been great feeding them Wellness which my local pet store carries. It's easy to maintain my dogs' weight on this food. My Chihuahua needed to gain some, now were just maintaining it. The Min Pin has also maintained her weight perfectly. I couldn't be happier with how they look and their coats are so soft!